Item Number: 111-898-3 18566 Actual Weight: 7.5 lbs. Scotch Filament Tape with continuous glass filament reinforcements must be cut away. 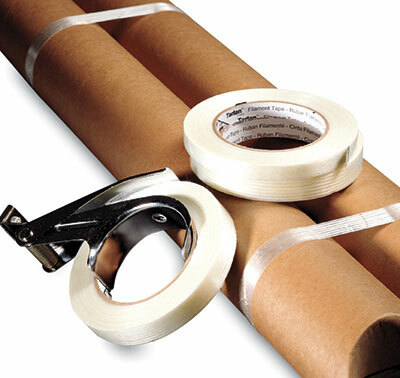 Strong pressure-sensitive adhesive sticks to a wide range of surfaces. Polypropylene backing resists moisture and abrasion. Suitable for sealing, palletizing, and bundling.